Day of Registration Begins at 3:00 PM, Race Starts at 4:00 PM. 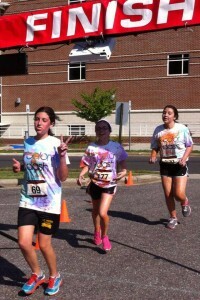 Join us for the 8th annual Bash Color Dash 5K where all ages and levels are encouraged to participate! Please feel free to run or walk or even push a stroller! All proceeds will go to support the Back to School Bash 2019, a community-wide event providing free shoes, backpacks and school supplies for area students. If that isn’t reason enough to come, we will also be providing a white Color Dash t-shirt for all who pre-register by April 26. 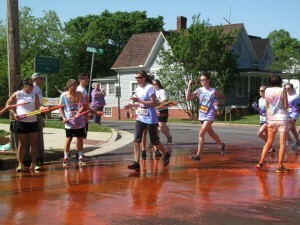 As you pass various intervals on your route, you can be sprayed with a different color of non-toxic washable paint! A prize will be awarded not only for fastest times but also for most covered in color! Prizes will be presented at our after run celebration including music, food, drinks, and more paint! Sign up today for our Bash Color Dash 5K to run or walk and support the Back to School Bash 2018!